Xilinx, Inc. today announced its intention to invest $40 million in an initiative to expand its research, development, and engineering operations at the company’s EMEA headquarters in Dublin and Cork. The company will recruit 75 senior silicon and electronics engineering staff for its regional headquarters in Dublin and for its engineering centre in Cork. Additionally 25 new employees will be hired across a broad range of business disciplines supporting the continued growth of Xilinx in Ireland. Xilinx is the world market leader in all programmable logic technologies – highly advanced and immensely powerful microchips that can be programmed – after they are made – into a diverse range of electronic systems across the ICT industry. The new investment and recruitment will support the company’s high level research, development and engineering work for advanced technologies and products including the application of artificial intelligence and machine learning in key strategic markets such as cloud computing, embedded vision, industrial IoT (Internet of Things) and 5G wireless. 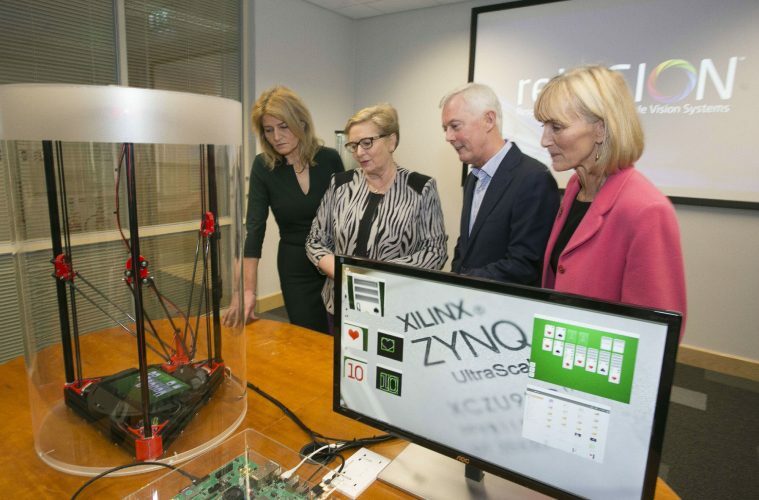 The development was formally announced in Dublin today by The Tánaiste (the Deputy Prime Minister of Ireland) and Minister for Business, Enterprise and Innovation, Frances Fitzgerald T.D., and by Kevin Cooney, Senior Vice President, Chief Information Officer and Managing Director EMEA, Xilinx Inc. The new investment is supported by the Irish government through IDA Ireland.